They behave like good little dinosaurs and they get ready for Santa nice and early. 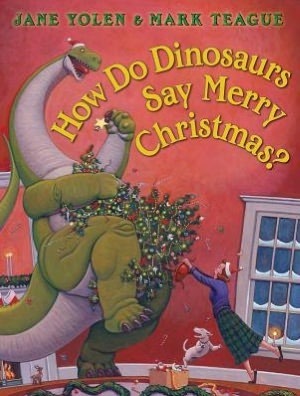 The book is a sweet and engaging and it has dinosaurs, what more would a young reader want. The book is fun and a perfect read for the upcoming holiday season. The pictures are great they are big and bright and the words are simple that kids will really enjoy reading this book.